Benefit from the most competitive rates in Ontario! 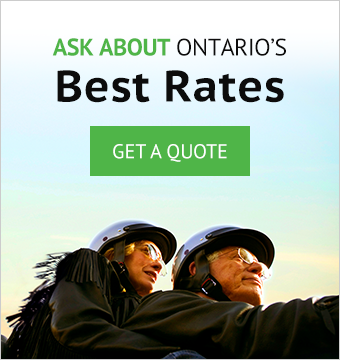 Get a FREE INSTANT QUOTE ONLINE for motorcycle insurance in Ontario... or contact a StreetRider Specialist by phone or email. Get Your Motorcycle Insurance Quote in Just 1 Click! *StreetRider Motorcycle Insurance is a product of Youngs Insurance Brokers Inc. – providing insurance with integrity throughout Ontario for over 100 years, with 28 offices across Ontario. Contact a StreetRider Specialist by email through our online quote form. Call now and receive special immediate attention from a StreetRider Specialist.